We get home and interiors inspo just about everywhere but recently it’s restaurant interiors and cafe fit outs that have really been impressing us! Last year we took you on a tour of our fave cafe — Double Shot in Deakin, Canberra — to share what inspires us about their ah-mahzing fit out! 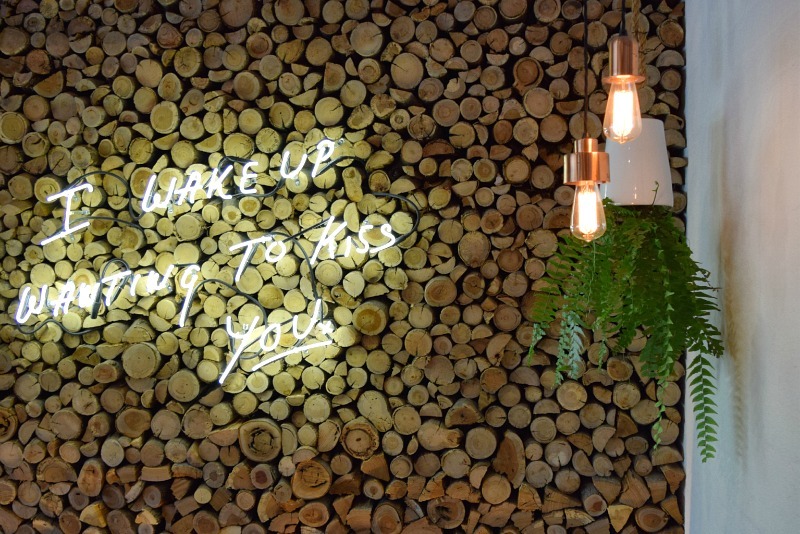 And one feature which we love just as much today is their killer feature wall made of tree branches and finished with this adorable neon sign. A feature wall done right can enhance a space and doesn’t have to cost a fortune (this one is made from local trees). Depending on your style of home, besser bricks, tiles, textured wall paper, mural art, or plywood could all be fresh ideas to consider. Each year, we bring you the latest colour predictions like our recent Spring/Summer 2015-16 trend forecast, and in a couple of months we can’t wait to share the latest forecast from Haymes. 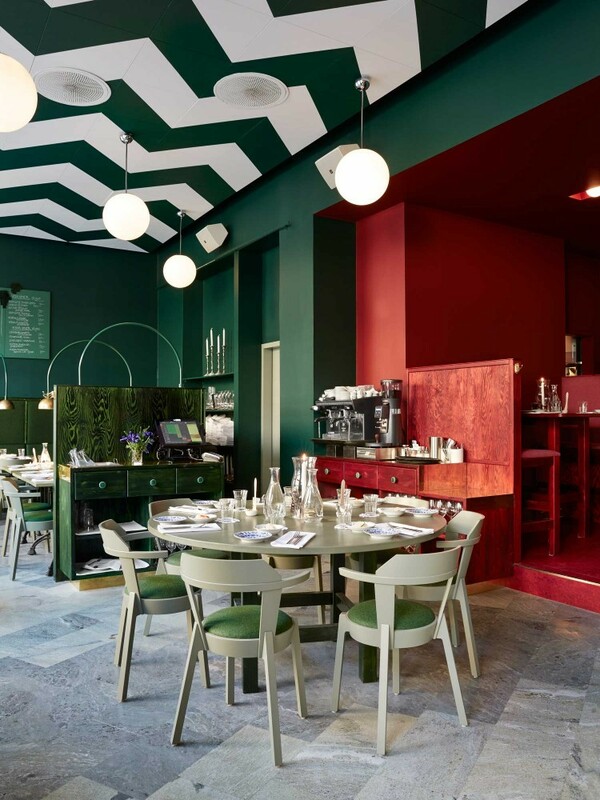 A key colour trend last year which continues to dominate is ‘Botanical’ and Bar Central in Stockholm, designed by Uglycute, shows us how to nail this colour palette. We love how they embraced it in such a sophisticated yet cool way. When we recently interviewed lighting expert James Nagel, he said one of the main reasons people fall down when creating a lighting plan for their home is that they often leave it too late in the build or leave it to the electrician to decide — resulting in a basic solution of downlights in each room. He recommends minimising the use of ceiling lights and looking at other solutions like wall lights, wall washes and pendants, to create more warmth and interest in a space. 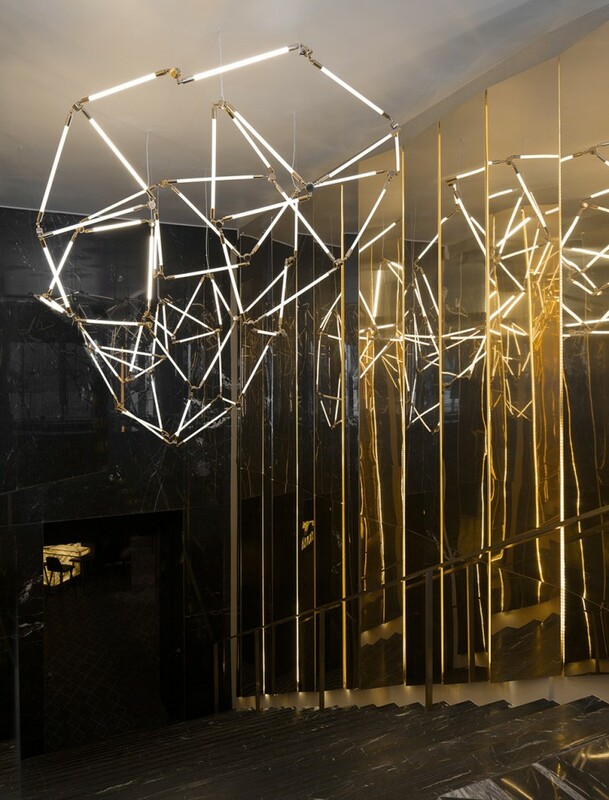 Yeeels bar and restaurant in Paris, designed by Rodolphe Parente Architects, has one of the most impressive lighting solutions we’ve seen! You knew this one would be on the list! 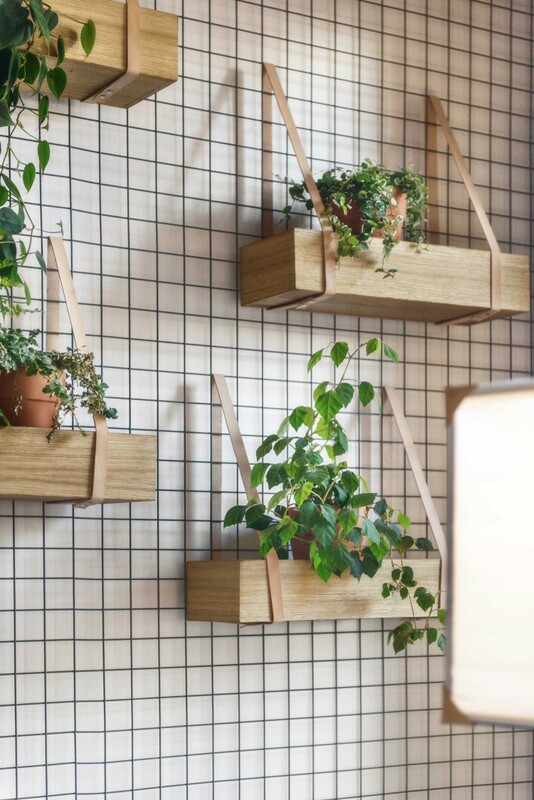 We’ve been crushing on vertical gardens for a long time now and this one (from Główna Osobowa Kitchen + Bar in Poland) combines the leather strap look with metal mesh — hot or what?! 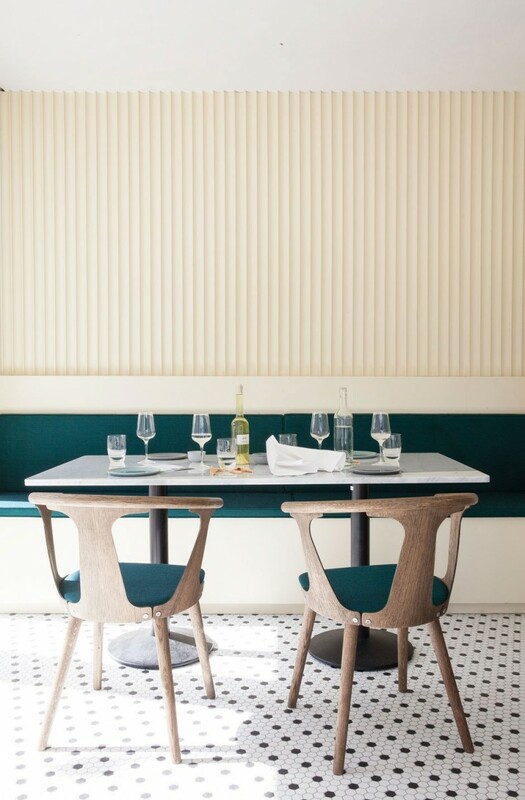 Interior designer and cofounder of Tile Republic, Sonia, says a tile trend for 2016 is ‘a fresh take on hexagons’ and this space by Norm Architects shows us why. Described as ‘creating an atmosphere that is Italian, but seen from a Scandinavian mindset’, this Cofoco Italy restaurant is beyond divine! Will you steal any of these ideas for your home? Ummm that vertical garden is so divine! 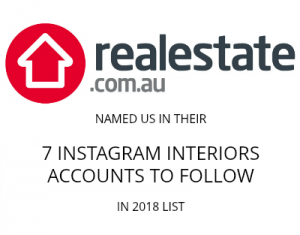 Loving all these ideas to steal!